With flavored spirit releases in the last two years such as Whipped Cream, Froot Loop, Birthday Cake, and Pumpkin Pie, I believe the level of shock value has been depreciated. For the most part, it shouldn’t be too shocking anymore to find your favorite dessert, child hood candy, breakfast meal, or other products we love suddenly bottled in liquid form and sold over the counter at your favorite liquor store. If you dream it, they can achieve it. Only now, it’s less about “I can’t believe they made that” now, and more about “does it actually taste good”. 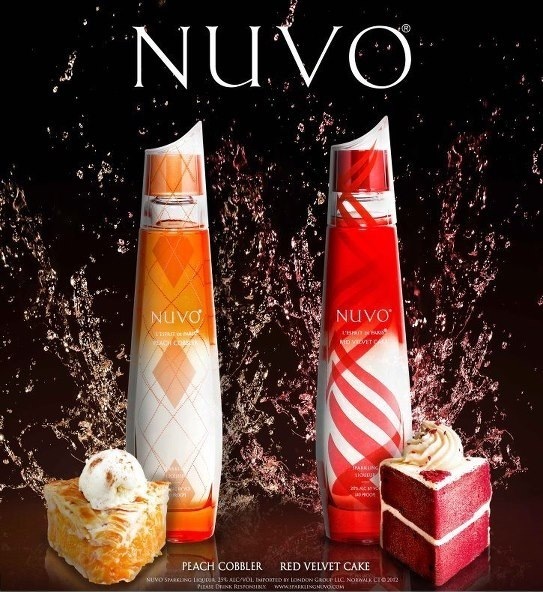 And so here we are again bringing you the latest on two new products hitting the market, this time from popular night life liqueur, NUVO Sparkling Vodka. Maybe i’m just fat, but those small descriptions have my mouth watering already. And with the Holidays around the corner, what a great time to launch these perfectly themed spirits. 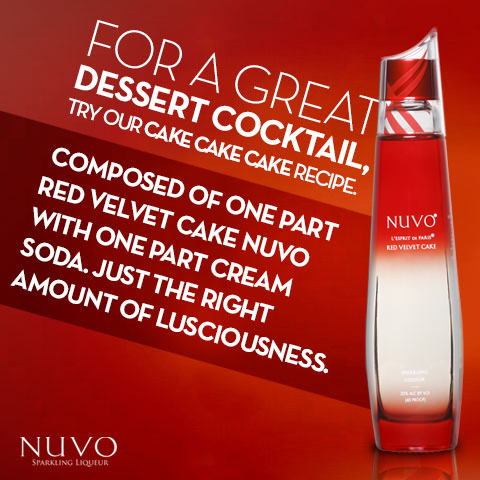 We have yet to receive our samples, but be on the look out for out Nuvo Red Velvet and Peach Cobbler Review. These flavors aren’t yet available everywhere, so be on the lookout at your local package store and keep bugging them about it till it comes in. 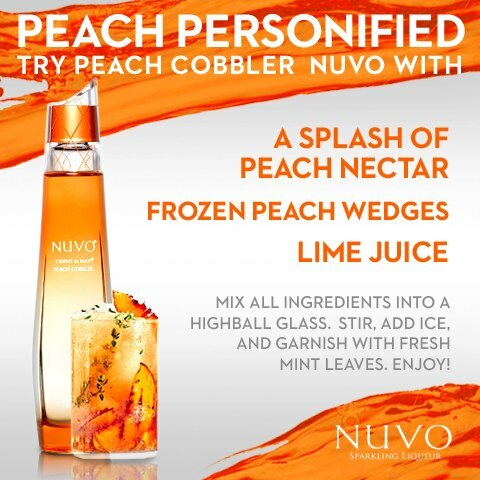 Until then you know we’ll be brainstorming ideas and coming up with our own recipes, but check out these simple ones provided courtesy of Nuvo. 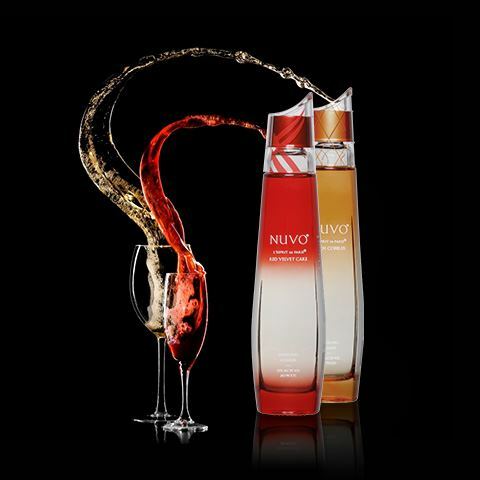 Photos courtesy of Nuvo Sparkling Vodka. Please Drink Responsibly. I live in Wichita, Kansas and I was wondering how do I get some of this? I can’t wait to taste it. where and how do I purchase a bottle? There is a Purchase tab at the top of the Nuvo web site and a “Where to Buy” option to search where to buy in Wichita. We have only one out of hundreds of liquor stores in Grand Junction CO. that sells the Red Velvet!! Unfortunately this one had 6 left at $13.99 from last year as they have relocated since. They now will sell them for $23.99. Do you know of any liquor stores in Grand Junction, CO that would sell these as I can not check allll of them. Thank you for your time.